There are now eight Texas universities vying to be the state's next tier-one university. 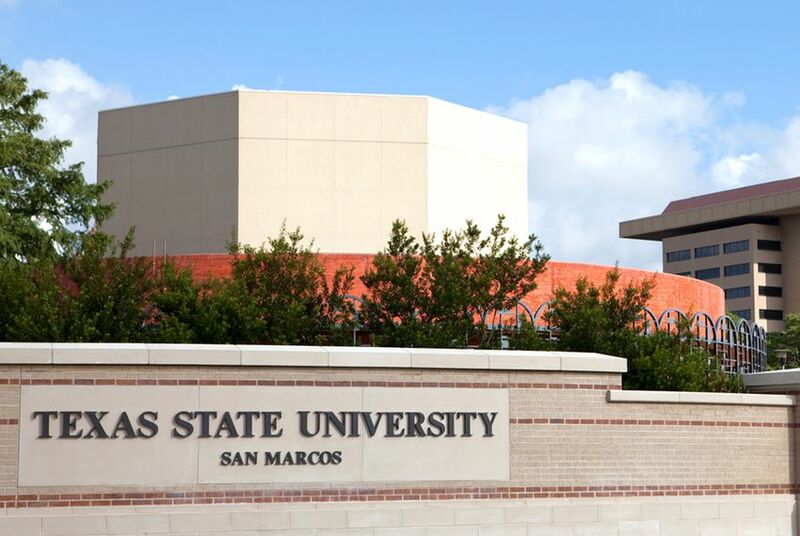 Texas State University has officially been reclassified as an "emerging research university." There are now eight Texas universities vying to be the state's next tier-one campus. Texas State University has officially been reclassified as an "emerging research university," making it eligible for the state-sanctioned competition designed to establish the next great public research university in Texas. “This is a very important moment for Texas State University. It reflects an enormous amount of work undertaken and accomplished by so many people. It is the start of a new era for our university,” Texas State President Denise Trauth said in a prepared statement. Texas State had previously been classified as a "doctoral university." Trauth was notified of the upgrade in a letter from the Texas Higher Education Coordinating Board. Only emerging research universities — a group that includes Texas Tech University, the University of Houston, the University of North Texas, and University of Texas campuses in Dallas, Arlington, San Antonio and El Paso — have access to the incentive funding famously established by the Texas Legislature in 2009 to encourage such public institutions to reach the top-tier level. The only top-tier universities in Texas are the University of Texas at Austin, Texas A&M University and Rice University. The first pot of money that is accessible to all emerging research universities is known as the Texas Research Incentive Program. It uses a limited pool of state funds to encourage large private donations geared toward boosting research at eligible institutions. To date, the roughly $80 million invested in the incentive fund by the Legislature has brought in more than $120 million in private gifts, for a combined total of more than $200 million boost for the emerging research institutions. The next level of incentive funding — the big payoff — is access to the National Research University Fund, which is valued at more than $600 million. But very high state-established standards regarding, among other things, the size of an institution's endowment, the number of Ph.D.'s conferred each academic year and the level of annual research expenditures must be met before an emerging research institution can claim any of that money. There are caveats that come with this announcement. Like most of the current emerging research universities, Texas State has a way to go before it gets a slice of the research university fund. And they won't be able to seek incentive program funding until at least the next biennium — assuming the state program gets more funding. Also, while the coordinating board can unilaterally change the school's classification, eligibility rules for the incentive funding are ultimately up to the legislators. "If you look at the metrics, they clearly belong in the group," said House Higher Education Chairman Dan Branch, R-Dallas. "I think it's a milestone. It upgrades the brand, which is what we need: more high-demand brands or universities in Texas. I'm excited for them." Branch also said that this news indicated that the 2009 bill, which Branch authored and Senate Higher Education Chairwoman Judith Zaffirini, D-Laredo, sponsored in the Senate, was working. "It's creating incentives, and it's moving the needle," he said. Zaffirini said she has been a strong proponent of this change behind the scenes. "They were, in my opinion, miscategorized. I often say that Texas State University is one of the state's best-kept secrets," she said. It will be up to the university to take advantage of the opportunity by boosting their research activities and tapping into their large alumni base for contributions to the effort, Zaffirini said.